Connie Prince Digital Scrapbooking News: Choo Choo! Scrap Matters Many Thanks BLOG TRAIN! Choo Choo! Scrap Matters Many Thanks BLOG TRAIN! Welcome train riders! 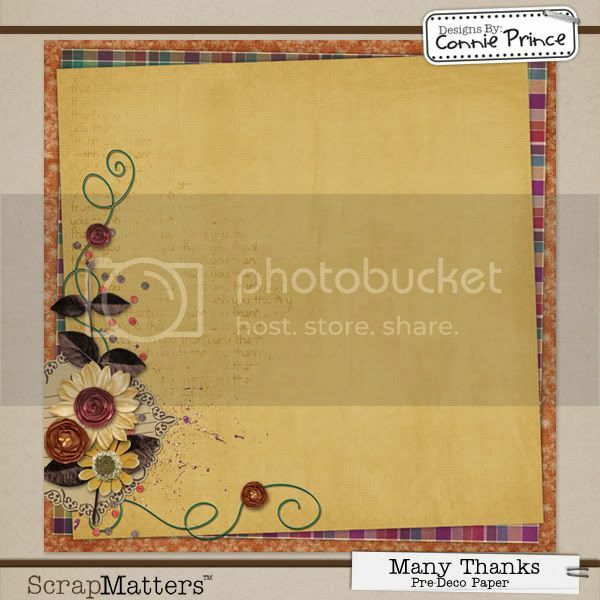 Before we get to your Scrap Matters freebie download - let me tell you about our current Facebook Fan contest! Connie is giving away a $20 (yep, you heard me $20!!!) gift certificate to one of her Facebook fans as of 11:59pm on Monday, November 8. And for an added incentive, she'll give away a second $20 gift certificate if we can reach 1,500 total fans by the deadline. To win, you just have to "LIKE" Connie's Facebook fan page by 11:59pm on Monday, November 8 - see it is as easy as that! Time for the Scrap Matters blog train! You should have come from Erica's blog and be heading off next to Val's blog ... Happy hopping! Gorgeous stacked page! Thank you! Thank you, Connie, for another wonderful treat. Thank you for sharing this wonderful freebie. Thank you for the great page! Simply Gorgeous! Thank you so much!